The holiday season is officially here, much quicker than I was expecting. It's time to start buying holiday gifts as well as planning holiday gatherings. The Blendtec Designer 725 can help with both. If you are looking for a show-stopping gift for someone close to you, you definitely cannot go wrong with the Designer 725. It is such a versatile gift. Busy mom? Being able to chop and dice veggies in a flash is a pretty great time saver, not to mention the clean setting, full, ad soap and tap a button, then rinse. Cleaning can literally not get any simpler than that. Less time wasted chopping and cleaning, more time with children or relaxing. Health nut? Smooties and whole fruit juices for the win. The Blendtec Designer 725 is powerful enough to blend touch skins and even seeds so you can get all of the nutrients without sacrificing quality. And not having to seed/peel things also makes it quicker and easier. "From scratch" foodie? Make your own nut butters, baby food, salsa, ice cream, soup and much more. Whether you have to control ingredients for allergies, health issues, or just for quality and peace of mind, you will always know what your family is eating. Plus it is usually much more cost effective to make it yourself. Have you bought almond butter lately? Party animal? Make perfect blended drinks. The party never stops and neither does the Designer 725. With plenty of power to crush ice to perfection, your margaritas have never been so good, or so easy. And again, save money. Making drinks at home is much more economical than going out. With six preprogrammed one-touch cycles, to ensure blending perfection. The settings are: Smoothie, Salsa, Ice Cream, Whole Juice, Hot Soup, and Clean. You can add 10 seconds to any cycle by tapping the respective button while the cycle is running. The Designer 725 even suggests additional uses for each cycle so you know how to get the most from your blender. And if the preprogrammed cycles don't match your exact need, there is a 100 speed touch slider. Get seamless precision speed control for 100 speeds with the slide of a finger. 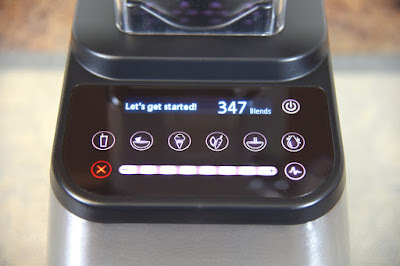 It even tells you which speed to use for stirring, chopping, mixing, blending, or pureeing. You can use Multi-Speed Pulse for an added burst of power at any speed. The Blendtec Designer 725 is truly the blender with a brain. The exclusive SmartBlend technology senses and identifies potential problems that could interfere with the perfect blend-including loading errors, overheating, or air pockets - and then tells users how to fix them. What an amazing feature for blender novices. It is actually really helpful even if you have ample experience. 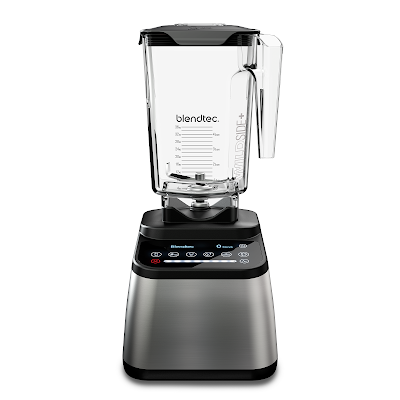 The Belndtec Designer 725 is the best blender I've ever had, and I have had other "high end" blenders. I love the preset options, it makes it so easy to get the same result every time. I also love the SmartBlend feature. I generally know what I am doing, but it never hurts to have a fail safe just in case. Anyone who wants to try new recipes, improve their health, eat more from scratch, Have some great cocktails, or blend anything, ever, the Blendtec Designer 725 is the perfect gift. And all the features that make it the perfect gift also make it perfect for holiday entertaining. Faster prep, faster cleanup, better quality, less stress, happier guests, happier you. What more could you want? While the Designer 725 is worth every penny, you know what's even better? Free. That's right. 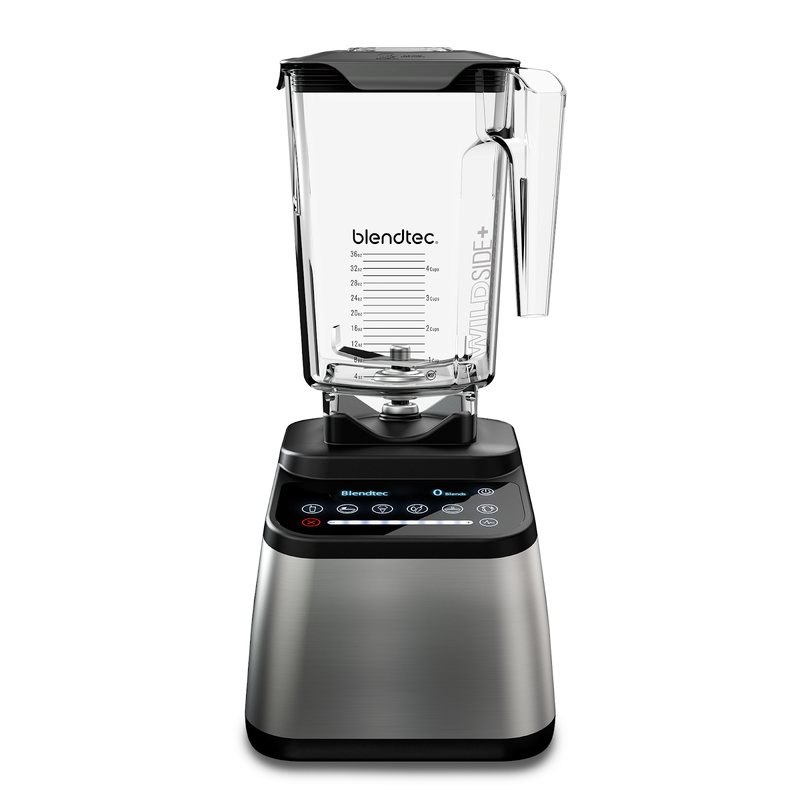 Blendtec has been generous enough to provide a Designer 725 blender to give away. One of you very luck souls will win. I love making Creamy Chipotle Tomato Soup in a Blender. i love to make salsa in a blender, it's so good when it's fresh. I love orange and apple juice make in blender. Making vegetable soups is one of my favorite things to make using a blender. I like to make baby food for my daughter in the blender. I like making peanut butter chocolate shakes! Margaritas have to be my favorite non-smoothie drink to make in the blender! I have an awesome recipe for a Frosty which tastes just like the one at the restaurant chain. I like to make chocolate milkshakes. I'm all about homemade shakes!! I've used my blender to puree soups but don't have a blender than can make soup from start to finish. I love making blender bread! It is super easy and low carb!! I love making Chocolate Peanut Banana Ice Cream with frozen bananas. I love to make guacamole in a blender! We adore frozen hot chocolate! I make milkshakes for the grandchildren. I love to make Cadillac Margaritas! I enjoy taking what we have for supper and blending it up so my grandbaby can enjoy it too!! He's learning to chew but not quite there yet with everything. But he loves our food. He hates baby food. I would like a strawberry margarita. I use to make coleslaw in the blender but I need a new one now. Thanks ! I love making my crepe batter in the blender - so easy and quick! And super easy clean up. I love making guac or hummus! I like making frozen strawberry lemonade slushies. We love to make homemade salsa. Salsa and guacamole is my favorite thing to make in a blender. I love using it to speed up making homemade gumbo as well. I like making sopa de fideos in the blender. I love making smoothies in my blender. Pretty normal for most people but new to me and my diet. Love making pasta sauce in my blender! We use it to make homemade guac! I havent really honestly never used a blender but if I had one the blender bread sounds amazing! You can't beat a chocolate malt for a treat. I like to make homemade humus. I like making different soups. Probably a soup is really good. I love french onion soup very much. I like to make butterscotch milkshakes. I like to make crushed iced and pour soda over it, so delicious! I love a good Frozen Strawberry daiquiri.